It just came in: Vectron DE no. 247 905 now in an (almost) full livery of Austrian rail operator Stern & Hafferl (St&H). 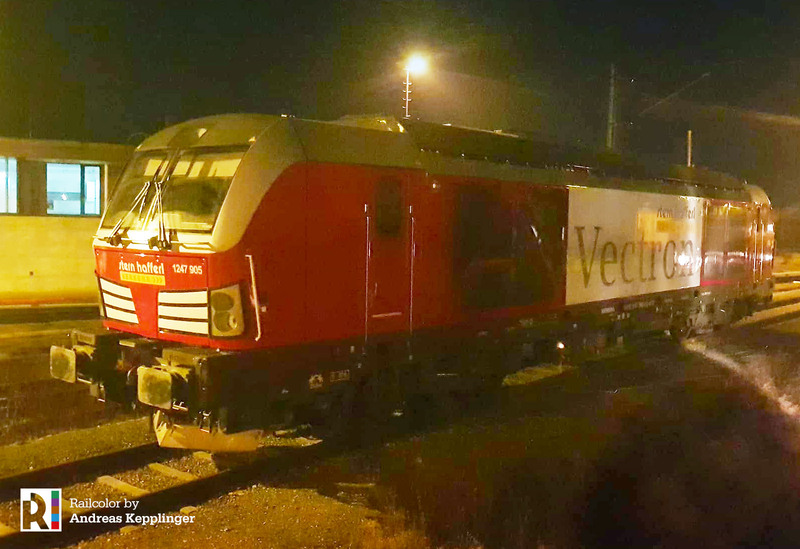 It is not surprise, the red livery is also used for the operator’s EuroRunner locomotives.